Trying to decide what to do with your child’s old toys? 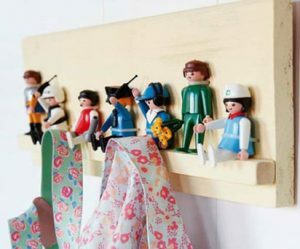 Here are 7 ideas on up-cycling the old toys into quirky decor and garden items for around the house. We all have a room, or many rooms in the house with old toys that our kids no longer play with. Instead of throwing them away (even if they are missing an arm or leg), up cycle them and by doing so, you get to tick quite a few boxes and be Star of the Month. You get to be a Super Eco Warrior by not throwing away old plastic. You get to be a Super Mom or Dad by spending quality time with your little ones, making all sorts of fun and funky things with their old toys. 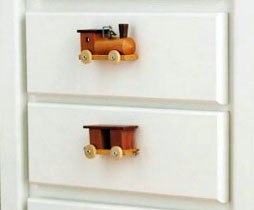 Most of these pictures of up cycled toys, are pretty self-explanatory and easy to do. 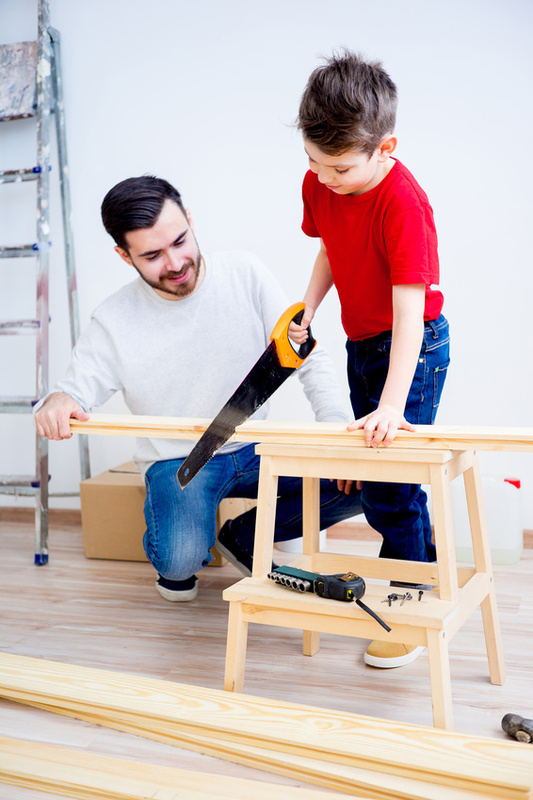 For most of them you need a saw that can saw through hard plastic; a glue gun or in some cases nails; some spray paint; a tiny drill and a piece of wood for the coat rack. 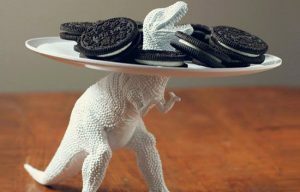 For this project, you can use any of your kid’s old toy animals or perhaps even a figurine that has a wide enough top to cut into a planter. Keep in mind that the inside of the toy should be hollow. Using your saw, cut off the top just big enough to be able to fit a small succulent or cactus inside. Next, spray paint the toy in a funky colour. Go for a bright colour if you want to keep it in your child’s bedroom, or spray it rose gold or silver to make a gorgeous décor piece in your living room or kitchen. 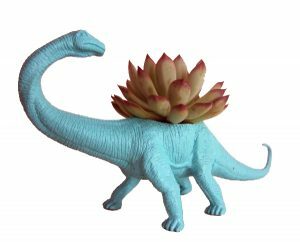 Plastic Dinosaurs do actually work very well. It depends on the toy you want to use for the wine stopper. 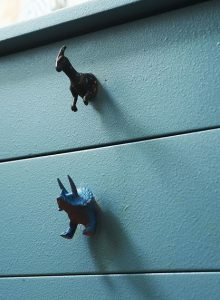 To get a nice finished off look, like the plastic animal Tiger Stopper above, then use the plug. If you don’t mind your stopper looking like the Mr Potato Head below, then just use a cork. 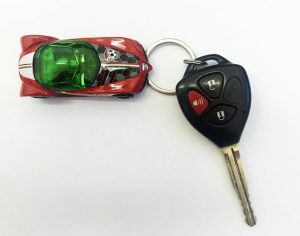 If you are going to use the Expansion Plug, remember you get different sizes, so make sure you take along your toy to measure when you pop into your local car spares store. Simply glue the plug to the cork, and your toy to the top of the plug. 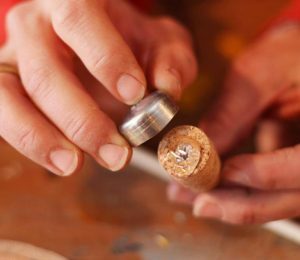 Or just glue your toy to the cork and Voilà, you have a funky new wine stopper! There are actually so many different toys you can use here, and what fun to bring them out when entertaining your (adult) friends. This is one of my favorites and is a huge hit at birthday parties! No tutorial is really needed here. Just cut a whole in a plastic plate to fit the figurine. Spray paint all the same colour. Glue the plate on and Bobs your uncle. Use a large plastic Dinosaur or how about your son’s old Batman Figurine. One can also use your Girls Toys such as a Kewpie Doll or how about My Little Pony. Again, another self-explanatory item. Just drill a tiny hole and insert the keyring. You can use anything from a Hot Wheels Car to a Block of Lego. Or a mini Batman Figurine or mini Mermaid Doll. Let your imagination run wild with either wooden or plastic toys. Spray paint them all to match or leave them natural. Then it’s just a matter of using your old door knobs and replacing them with the toy door knobs. Use your child’s old Cars, Trains, Planes, Dinosaurs or even dolls. How sweet is that? 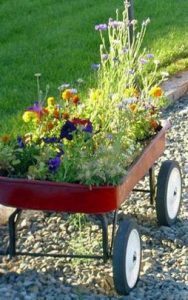 There is nothing much to do here, except line the base of the old toy wagon with some plastic; drill a few holes to allow for drainage and then plant some beautiful seedlings. 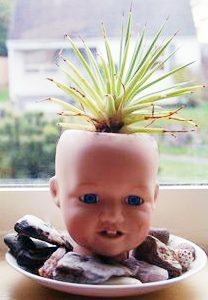 What a gorgeous, quirky flower planter. 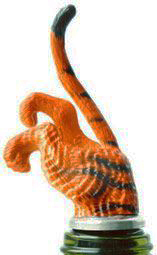 Figurines; Dinosaurs; toy Animals or toy Cars. There is so much you can use for these stunning coat racks. Find an old piece of wood, paint it and get sawing, hammering and gluing. What a lot of fun with such gorgeous results. So that brings us to and end or all these amazing ideas. Get up cycling and de-cluttering and have a whole lot of fun with the kids in the process.